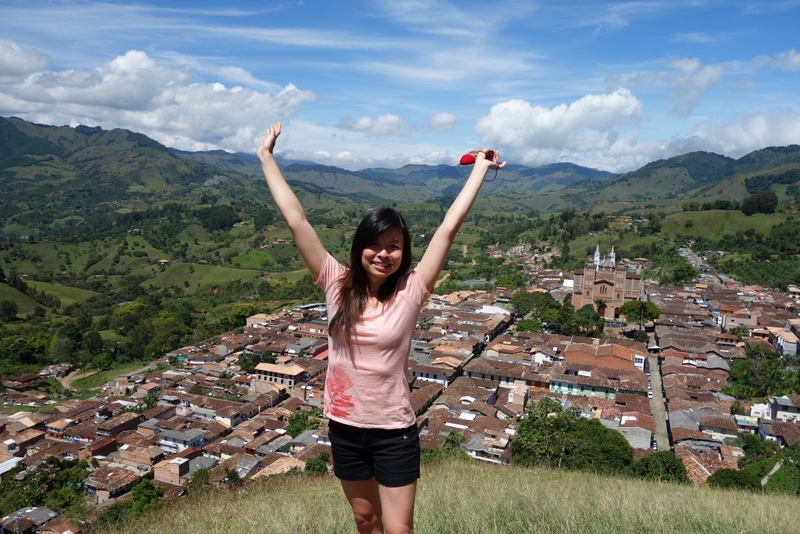 From the advice of other travel bloggers, we decided to spend some time off the beaten path in the Antioquia region. This region contains an endless number of pueblos (or villages) that will allow the weary traveller to kick back and enjoy a slower pace. 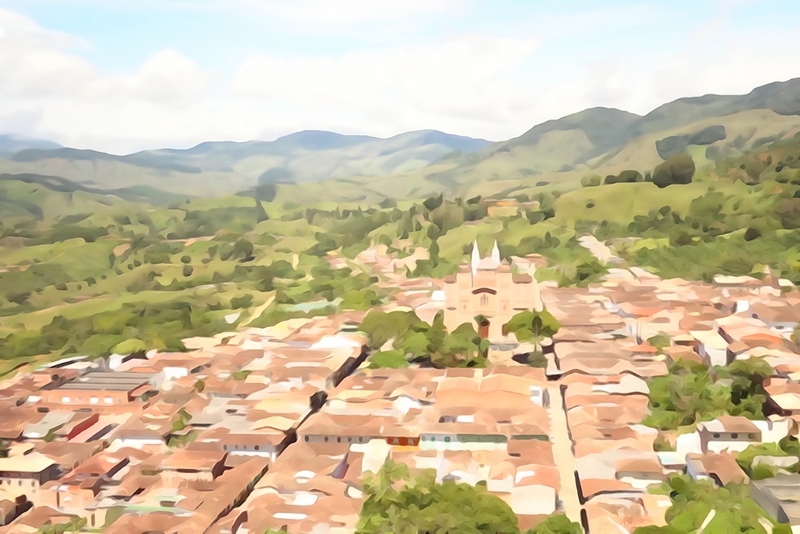 Jericó is one of the many pueblos in the coffee zone, just 3.5 hours south of Medellin. 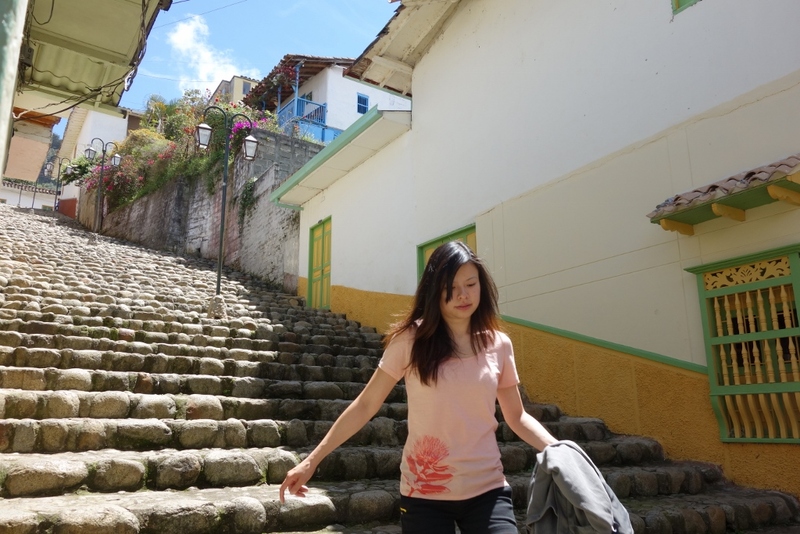 We spent a day in the little village (approx population 13,000) enjoying the sunshine, the mild climate, and the company of incredibly friendly people. 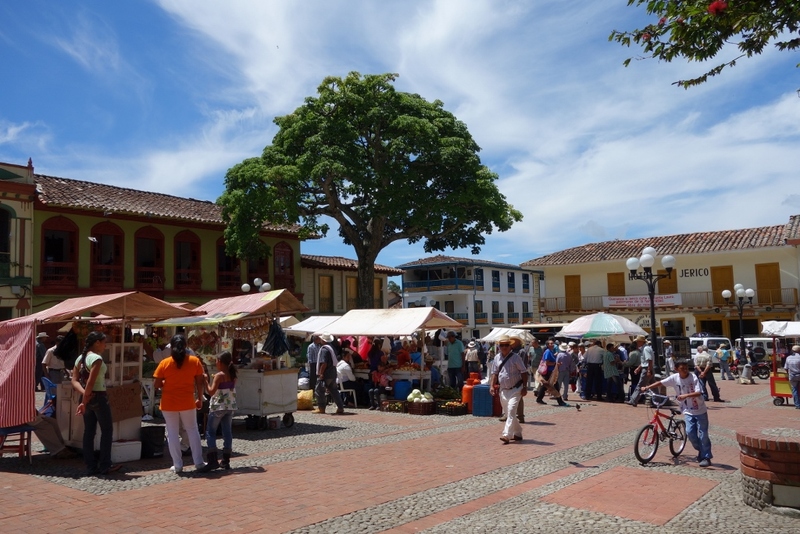 Most cities or villages have a central plaza where all the locals congregate to catch up on gossip or just to people-watch. Jericó had a very pretty central plaza, named Parque Reyes. We drank a lot of coffees at this cafe. It had the perfect vantage point for people-watching people in the central plaza. 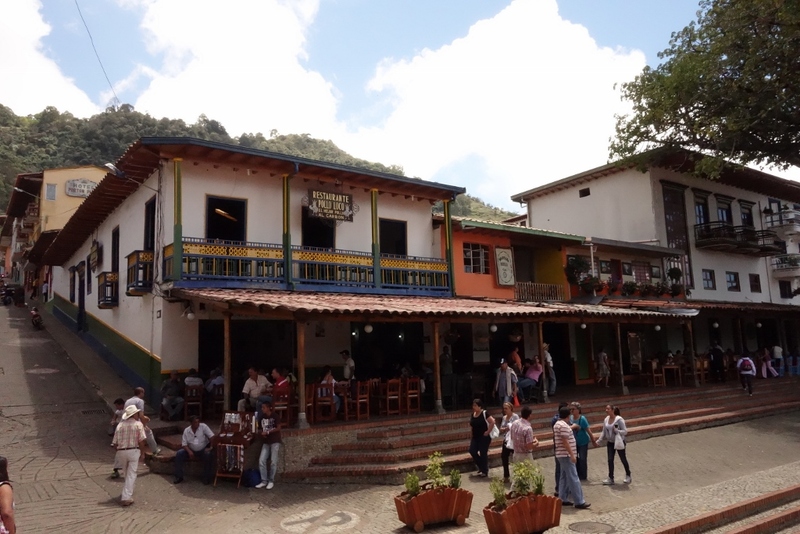 This charming little village also had a meticulously-maintained botanical garden, ‘Los Bolsos’. It was pretty impressive. 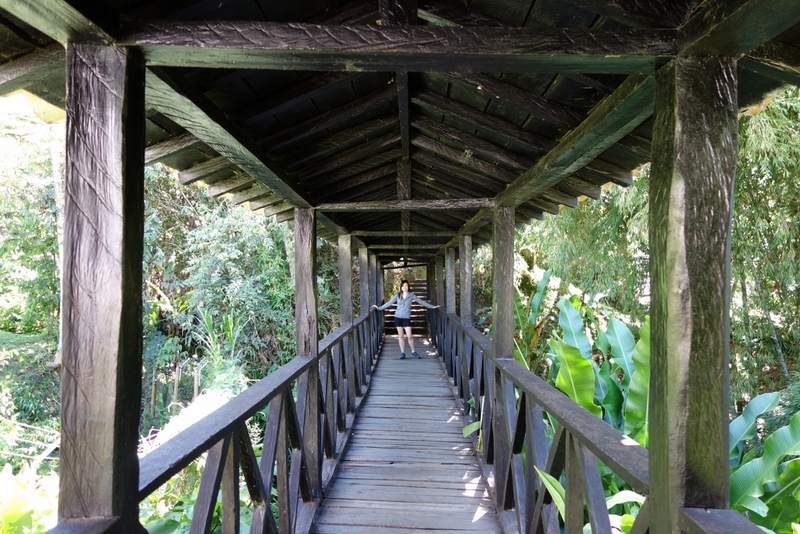 The bridge that led from the village to the botanical garden. 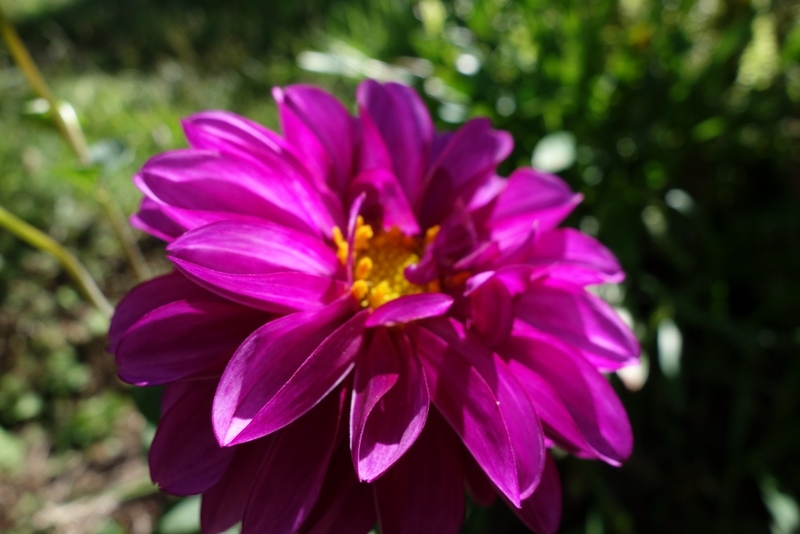 The botanical garden, ‘Los Bolsos’, is located at the base of El Salvador. 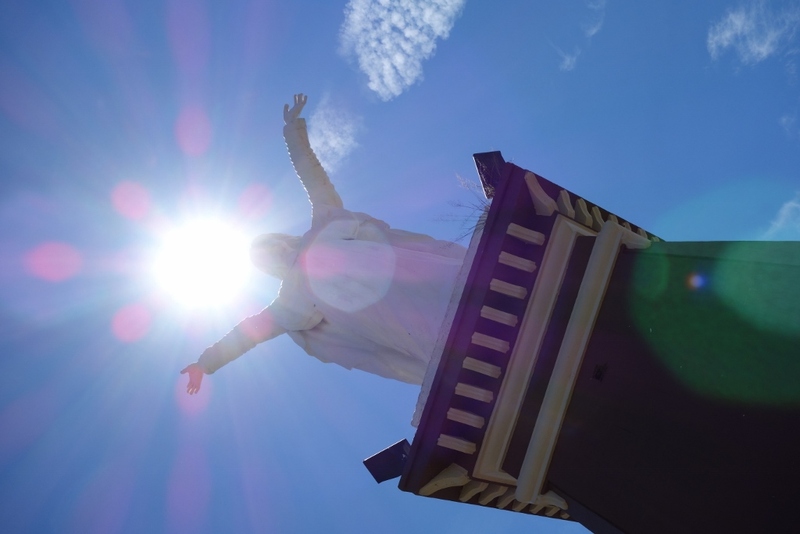 The pathways will eventually lead up top the top of El Salvador, where stands Jericó’s own statue of Christ. From here, you can take in breathtaking, panoramic views of the village and surrounding mountain vistas. 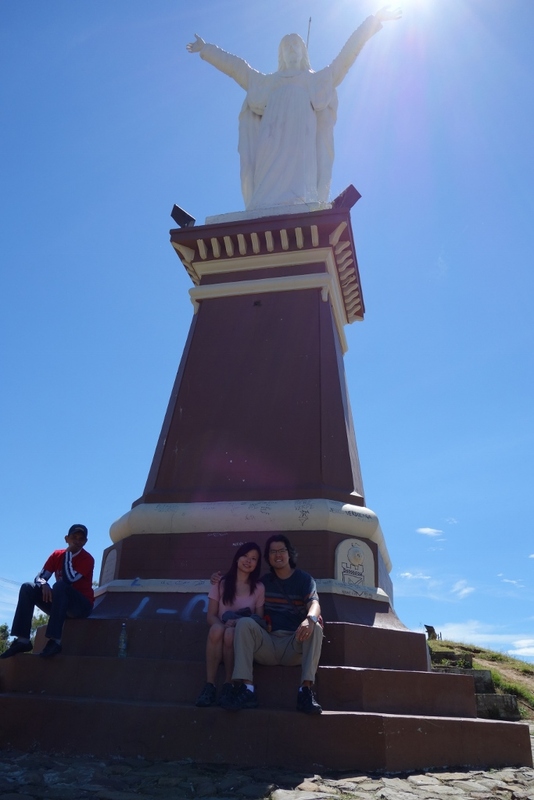 We met a friendly local up at the top who tried to teach us about the village’s history. Too bad his lecture was entirely in Spanish 😛 He offered to take some pictures of us though. We stayed up at the top enjoying the breeze and the views for awhile. This is me imitating the statue. No, just joking..I’m not sure why I’m posing like that. 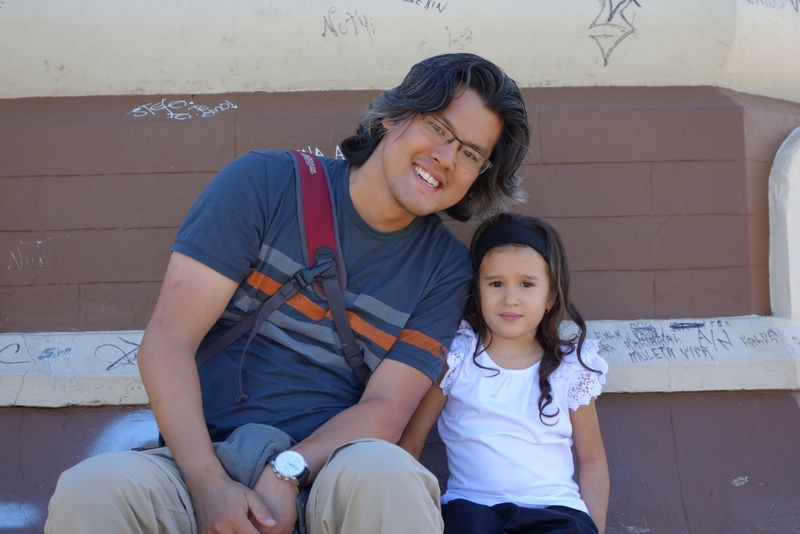 This little girl cozied up to Jason and wanted her picture taken with the rarely-seen Asian tourist. 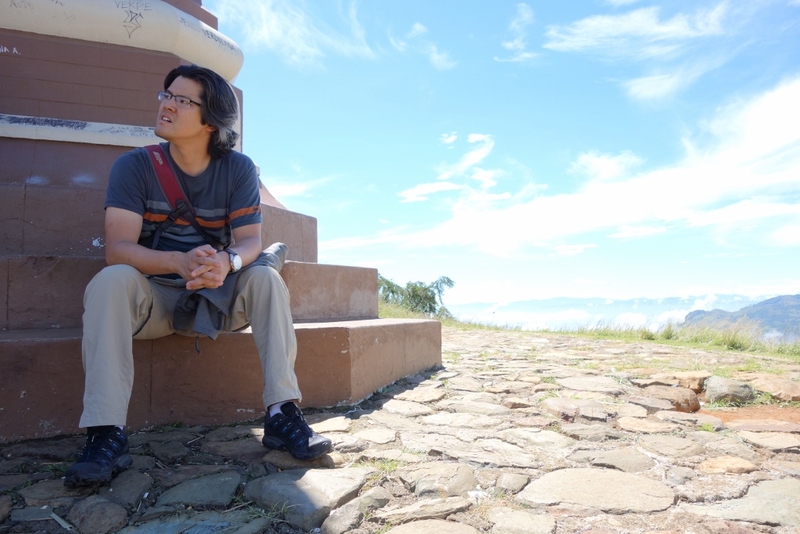 Jason pondering life’s mysteries….or what to have for lunch. 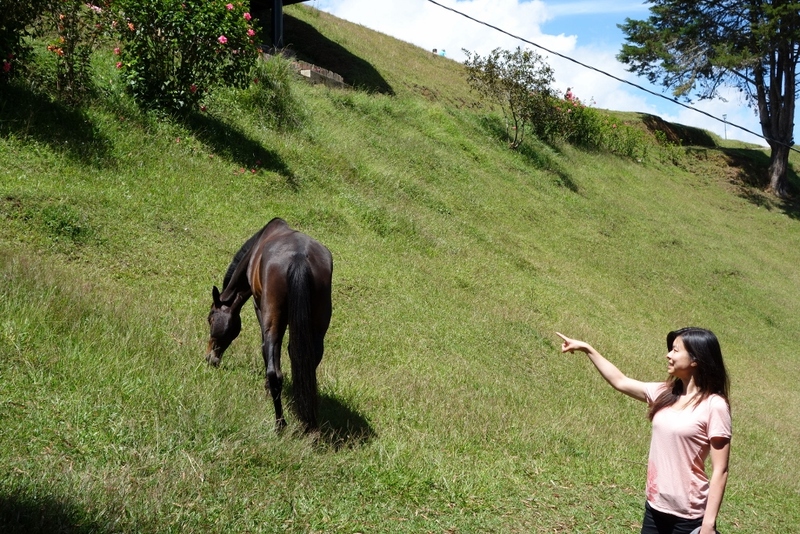 On our way down we saw this beautiful wild horse just horsing around (haha). He was a little scary since he was humongous! He almost charged me at one point and I freaked out! It took a lot of coaxing from Jason to get me into the same photo frame with him after that incident. 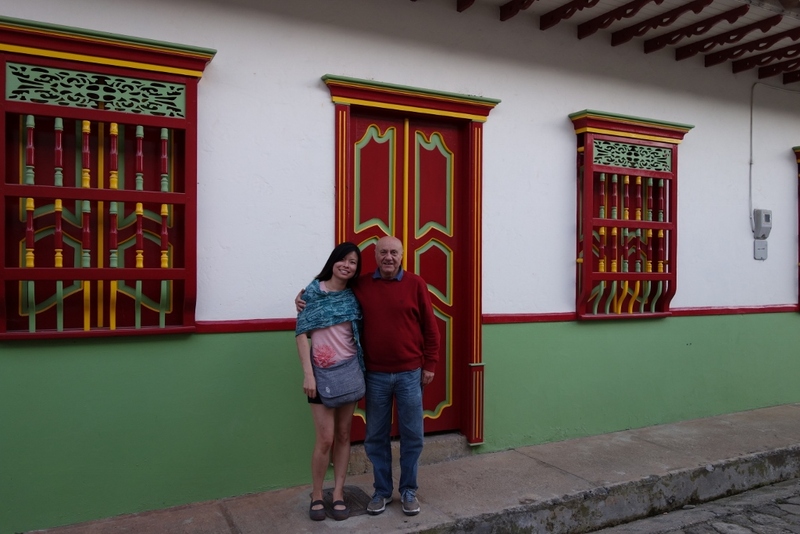 We were wandering the small streets, when we were stopped by an older gentleman. He guessed we were from Canada (We must’ve been in the middle of asking a question, eh?) and told us that he lived in Toronto for years! Say wha?!? What are the chances of bumping into a local who used to live in Toronto but now lives in this tiny little village?? Jason, Decio and Decio’s friend Jaime. His name is Decio and he was born in Italy, lived in Toronto for years, but has now located to Jericó where his wife was born. 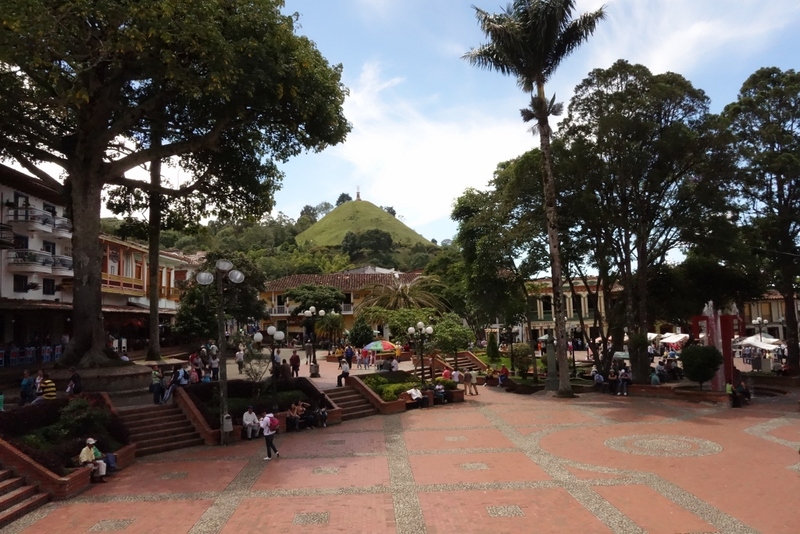 It was great to be able to converse with a local in English so we spent the afternoon with him, enjoying coffee in the central plaza and walking around the beautiful streets. 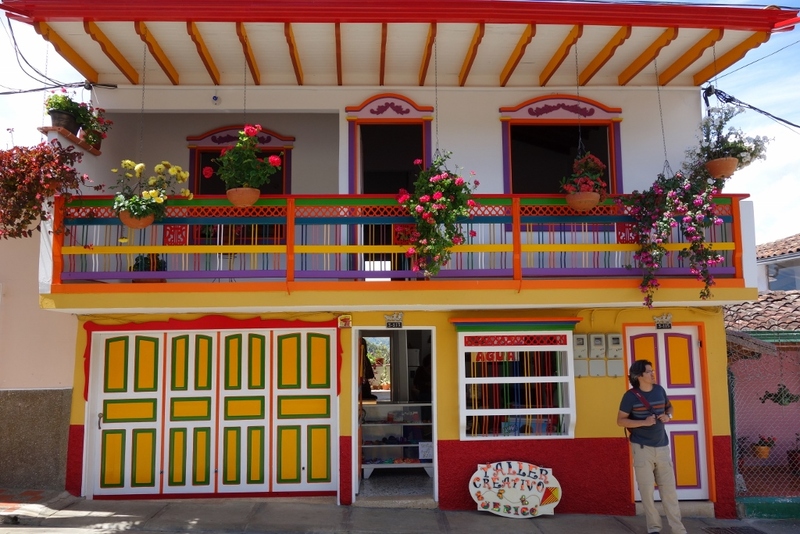 Typical Antioquian architecture: colourfully-painted doors, window frames and balconies. 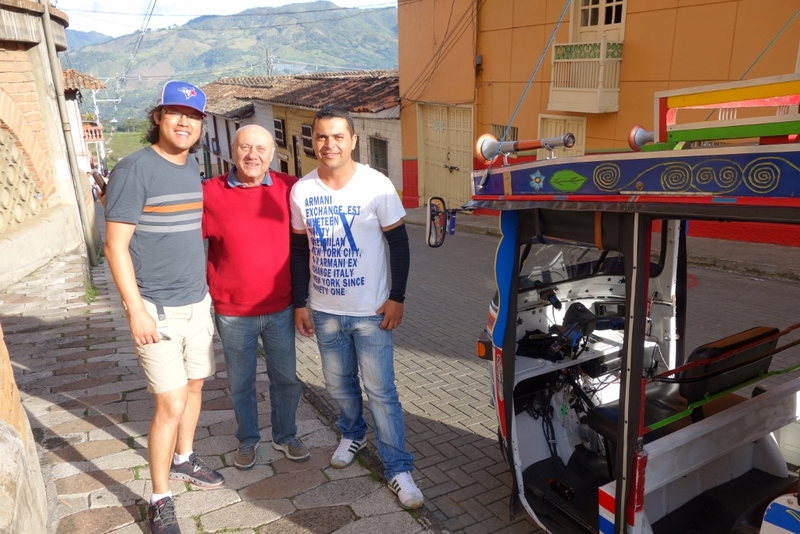 Decio invited us into his home to show us the view of the mountains and his cattle farm from his rooftop terrace.